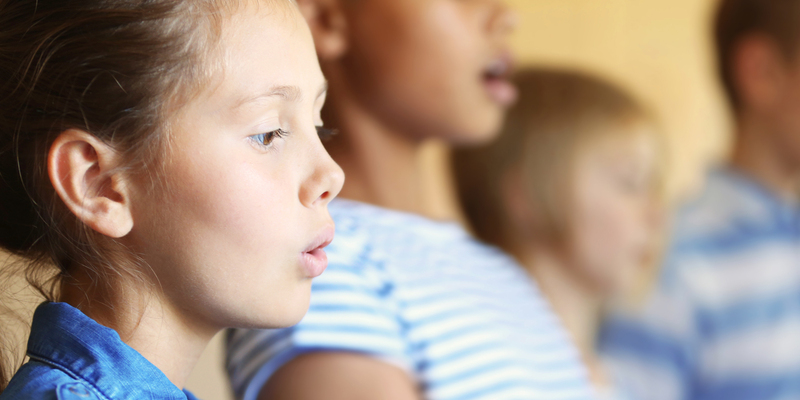 There are many well-known benefits of encouraging singing in the instrumental classroom. It can improve intonation and help students develop their listening skills. Furthermore, sight singing temporarily removes instruments from the equation, and this can help identify and isolate instrument and technique problems. Personally I have seen the way singing awakens kid’s brains. When students can sing their parts in tune with correct rhythm, it will increase their musical accuracy and ultimately help them become better at playing their instrument. The challenge is in getting any student (not just instrumental students) excited about sight singing. Armed with a master’s degree in music and a wonderful student teaching experience, I brought lots of excitement into the classroom at the beginning my teaching career. I’ll never forget the incredible dark cloud that seemed to descend over my classroom when I would ask students to pull out their sight-singing books. I can still hear the moans and sighs like it was yesterday. Sight singing was a chore. What was the problem? I had purchased the best sight-singing books! Shouldn’t that do the trick? Apparently not! I was completely unable to get my 300 inexperienced middle school students to be successful at sight singing and, most importantly, to enjoy the process of learning it. Over time, I determined many reasons for my lack of success at teaching this important skill and none of those reasons had anything to do with their intellectual abilities or the types of students I was teaching. It had to do with me. I simply didn’t know how to instill the skill sets required for them to successfully sight sing, and I didn’t respect how incredibly difficult this skill is for this special age group. Reading music is very similar to learning a foreign language. More than 95% of my students had no private instrument or voice lessons in their background. So, whatever they learned about sight singing was going to have to come from me. I couldn’t rely on having Peggy Piano on the back row (who had taken piano lessons for 9 of her 11 years) to lead everyone into the promised land. Success AND fun are the magic potion for this age group. I had to figure out how to instill the skills into my students in a fun way. So, over time, I developed a four-part philosophy of teaching students to sight sing. I felt sure that the Kodaly hand signs would help my students improve, but they didn’t seem to like using the signs. I soon realized that this age group loves to compete against the teacher! So, I made up a game that I called “Forbidden Pattern” where the students played against me. Everyone must use the Kodaly hand signs while they sing. I sing and sign a three-note forbidden pattern followed by a rest, and they immediately have to sing and sign it back to me. I announce that this is the forbidden pattern of the day. I tell them they aren’t allowed to sing it anymore during the game, but that they have to sing and sign everything else that I sing and sign. The game begins. I sing a different three-note pattern and they echo it back to me. This goes on until I randomly sing the forbidden pattern of that day. Each day, there is a different forbidden pattern that the students aren’t allowed to sing. If one (or more) student sings the forbidden pattern, I get a point. If no one sings the pattern, they get a point. Students get so absorbed in the game that they forget not to sing the pattern. It is an awesome focus exercise with which you can have lots of fun! Whoever scores 3 points first wins the game. I keep score daily. I make the score public to all of my classes so they will begin a friendly competition with the other classes in addition to competing with me. They are likely to get very excited during the game, and that is a good thing. However, you need some rules in place to keep the game fun and manageable! They aren’t allowed to warn each other that the forbidden pattern has been sung by the teacher. You should only award the students a point if they’ve been absolutely silent and still when you sing the forbidden pattern. Have fun with the game! Use what I call the distraction technique. In the middle of the game, talk about your cat or what you did over the weekend. Then, sing and sign the forbidden pattern. Soon, they will realize what you are up to. It helps them focus even more because they think you are being sneaky (and you are) because you want to win! The possibilities are endless, and the relationship you will build with them when you let loose with playful competitiveness in this way will help you bond with your students as you teach them. If we were teaching our students how to build a house, we wouldn’t simply take them into a room full of tools and say “Go!” We must teach our students how to use the “tools in their toolbox” by introducing one tool at a time and allowing them to perfect the use of that tool before moving to the next tool. “Chaos” is the word I use to describe a one to two-minute independent practice period. I give a sight-singing example and establish tonality by singing the scale and arpeggio in the key of the exercise. During chaos, each child must place themself into a bubble world and block out the other singers while singing and signing the example out loud – at their own pace. They must do so for the entire one to two-minute period. When I teach this concept, I compare the resulting sound with how an orchestra sounds warming up before a concert. Once you stop the chaos session, re-establish tonality and then have them sing the example as a choir. Emphasize the importance of holding onto “DO” during chaos. If you hear them wander from “DO” when they are first using chaos as a tool, stop and ask them to sing “DO.” This will give you a chance to drive home the importance of never losing “DO.” I always tell them that it is like knowing where you live! You should always be able to recite your home address. It is critical that students sing out loud during chaos, and that they are encouraged to work at their own pace. I teach rhythm separately from pitch at first. We must help students to feel and experience the importance of beat one or the downbeat. Helping them to physically feel it by doing body percussion exercises is a great tool. Also, using the Kodaly “TA” system works well. I have my students over-emphasize beat “1” with their voices when they “TA”, and “rev” their voices like a car engine while singing half notes, dotted half notes and whole notes to keep the beat steady as they perform rhythm exercises. Instilling strong accenting skills helps greatly as they learn to cope with different time signatures. Once we combine pitch and rhythm in a real-sight singing exercise, we should only use quarter notes, and we should teach them to pulse their hands to the steady rhythm in addition to using the Kodaly hand signs. If we do this successfully, it will be much easier for our students when they encounter their first half note or dotted half note in the middle of a sight-singing exercise. Dealing with varied note values in the middle of an exercise is a challenging feat of incredible coordination for beginners and must be taught deliberately and carefully and practiced daily. In the early days of teaching sight singing, I failed to recognize how hard it is for them to combine singing accurate pitch and rhythm at the same time. Now SmartMusic can create an infinite supply of sight-reading exercises, and you can try it for free! Sight singing is not easy. It requires so many skill sets that trained musicians often take for granted. The dots on the page are filled with information that their brains have no idea how to interpret until we carefully show them. Ten minutes per day – every day – will go a long way. It will give us the time to teach our students what the tools in their toolbox are and how to use them. Successfully identifying the symbols on a matching quiz isn’t enough. They have to use the symbols and interpret them each and every day with simple, progressive sight singing examples that are appropriate for their age. Like a new language, they must speak it often in order to improve their skills. We all know how important it is to praise our students when they get it right. With sight singing, it is even more important to acknowledge every single small success…especially with this age group. For example, when I see a student “pulsing” correctly, I call their name out and tell them “Great job on the pulsing!” Immediately, other students make sure they are pulsing, too. I often compare sight singing to life. It will not always be perfect. Sometimes, you will sail right through. Other times, you are going to hit a huge obstacle and get knocked down. Do you just lie there? Or do you get up, dust yourself off and keep on going? As their teacher, it is incredibly rewarding to help students on this important journey. It is our job to guide them toward music literacy. And when we take the time to teach them how to use the tools in their toolbox and share a little fun, laughter, and celebration along the way, we will have had a great time instilling a skill in our students that will last them a lifetime! 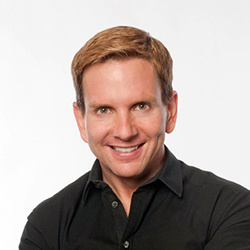 Dale Duncan is the creator of the S-Cubed Sight Singing Program for Beginners offered on Teachers Pay Teachers, Music Prodigy, and JW Pepper. Dale has a blog and YouTube channel. He writes about classroom management, sight singing, and other topics related to teaching choral music. Dale teaches over 300 choral music students at Henderson Middle School near Atlanta, GA.